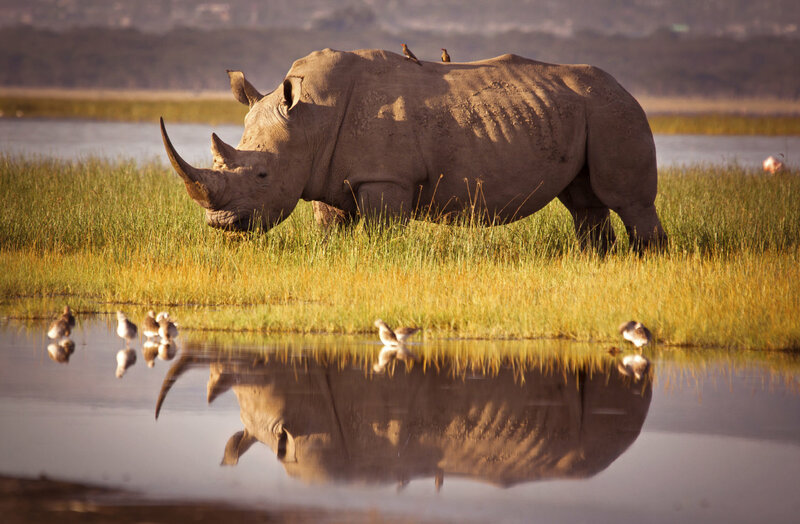 The Big Five - rhinos, elephants, lions, cape buffalo, and leopards - are Africa’s most famous game. 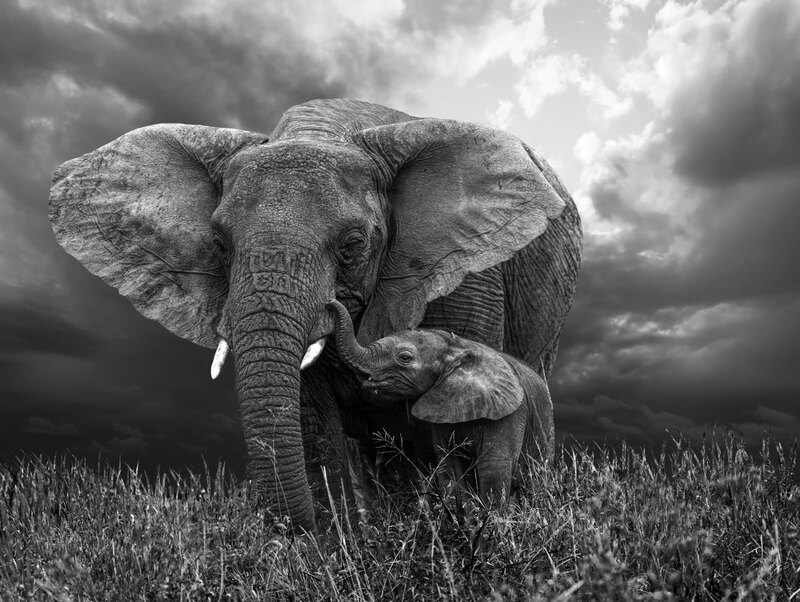 Although the term “Big Five” originated because these animals were among the most difficult to hunt on foot, the term has become synonymous with five of the most sought-after animals to photograph. Photographing the Big Five in Africa can be a bit of a challenge, though. The animals are elusive and dangerous, and in some cases are highly threatened or endangered because of poaching. As a result, many photographers never get the opportunity to see these magnificent animals in the wild, let alone photograph them. However, with these simple tips, you might just be able to find these magnificent beasts and have an opportunity to create stunning photos. 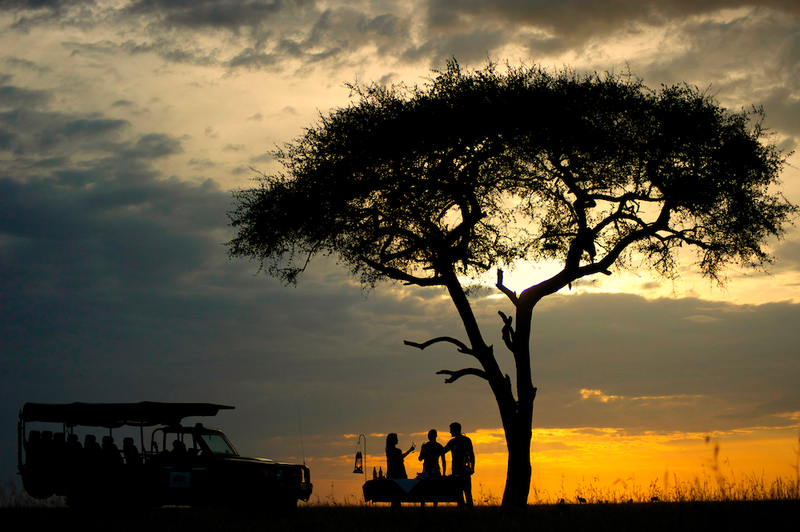 Photo safaris usually take place in open vehicles so riders have an unobstructed view of their surroundings. But these vehicles have to maintain an appropriate distance from wildlife so as to minimize the disturbance. As a result, a telephoto lens is a must have item. A lens of at least 200mm is a good choice, giving you the range you need for close-up shots of animals in the distance. Also take along a wide-angle lens so you can get environmental shots of these animals in their beautiful surroundings as well. Another essential piece of gear is a monopod, tripod, or beanbag to use for stability. Many safari vehicles have camera stands built in, but you don’t want to assume that your vehicle will have stands and be left without a means of stabilizing your camera and lens. If you don’t own one of these devices, you might be able to rent one from the photo safari company, or, if all else fails, ask for someone at your lodge to fill a bag with rice or beans to use as a makeshift beanbag. Lastly, take plenty of batteries and memory cards. The last thing you want to do is run out of juice or storage in the middle of a trek out to see the animals you’ve come so far to photograph! The unusual nature of the rhino’s appearance make close-ups of their heads a prime wish-list item for safari goers. However, a wider shot of the rhino’s entire body can give greater context to the sheer size of its horn. Zoom in to get the close-up, but also zoom out for an environmental portrait of this incredible animal. To emphasize how large elephants are, try photographing them from a low vantage point looking up. Conversely, the detail of their eyes, trunks, and tusks make for pleasing close-ups, as does their highly textured skin. If you want a truly mesmerizing shot of a lion, get on its eye level if possible. This will allow you to capture the intensity of a lion’s gaze, particularly if it’s looking directly at you. And, of course, lion cubs are excellent fodder for photos as well. Zoom in on them playing to capture the detail of their enormous paws and how disproportionate they are to their little bodies. Because of their dark hide, photos of cape buffalo can often be overexposed as your camera is tricked into thinking the image is too dark. Be aware of your exposure settings and be prepared to make on-the-fly changes if your initial images are indeed too bright. 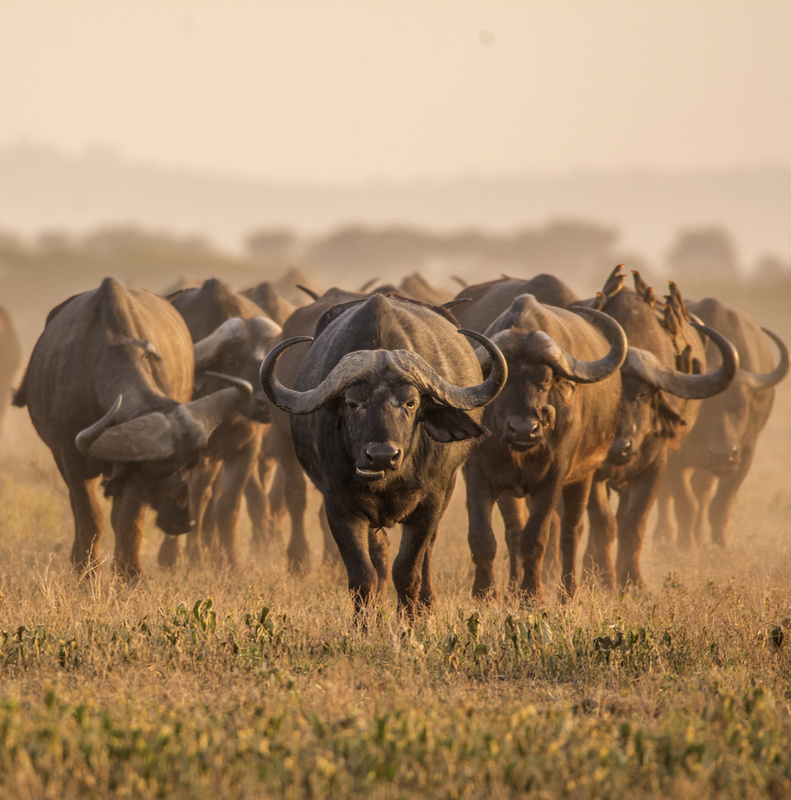 Try to photograph buffalo in a herd, as the dust created from their wanderings can create a dynamic backdrop for a sunrise or sunset shot. Like lions, images of a leopard’s face are especially intriguing because of their large, beautiful eyes. But since leopards are often seen at dusk, it is essential to have your low-light settings dialed in. Open your aperture and select a higher ISO so you’re sure to get a well-exposed image. There is just too much that can go awry if you try to plan your Big Five photographic journey on your own. You might not know the best locations to find the animals. You might not be able to find the best accommodations while you’re there. Unfortunately, there is the issue of security and understanding how to travel abroad in a manner that keeps you and your gear safe from harm. Sure, you can roll the dice and try to plan an African Big Five adventure on your own, or you can connect with a tour group that will take care of all the details for you. 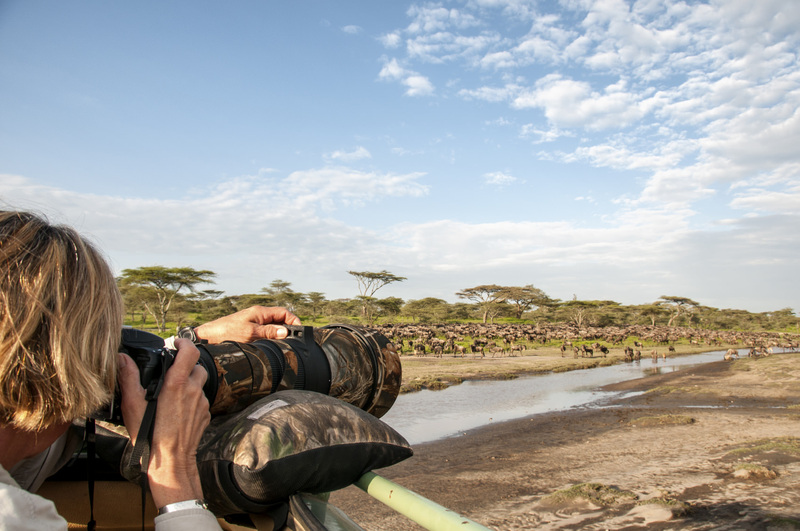 Even better, you can take on the task of photographing the Big Five on a photo safari, complete with expert instruction from world-renowned photographers and insights from wildlife experts, all from the comfort of an open game vehicle. The issue, of course, is determining which photo safari of the many dozens that are offered is the best bet. 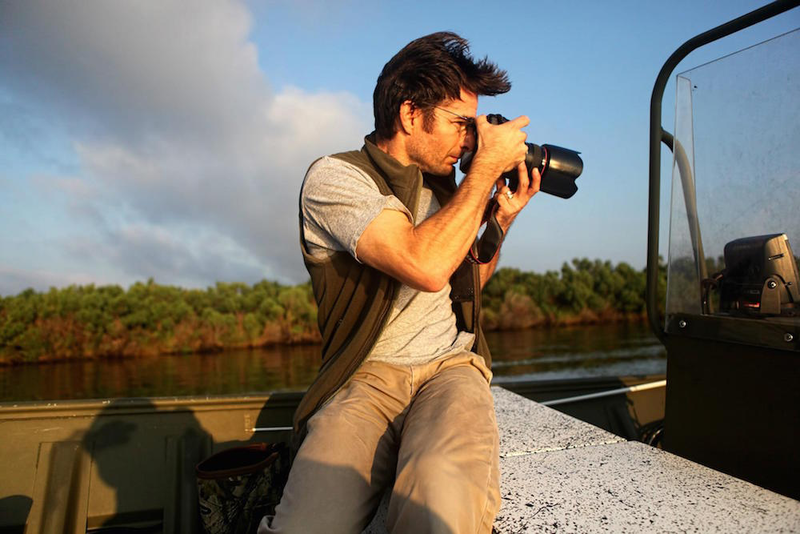 Our pick is the Kruger Wildlife Photography Workshop with Tyrone Turner, offered by Penda Photo Tours. Tyrone is a National Geographic photographer with plenty of experience in photography and photography tutoring. Join him on a skills-based photo safari in South Africa’s Djuma Game Reserve, an area known around the world for spectacular sightings of the Big Five, and in particular, the elusive leopard. Two-a-day treks with Tyrone and a highly experienced guide give you many opportunities to see the Big Five in both early morning and late afternoon light. When you aren’t out photographing game, you’ll enjoy staying at a five-star lodge where you can relax in luxurious rooms, take a dip in the pool, and enjoy gourmet meals. The photo safari is perfect for photographers of all levels. Regardless of your experience, the trip offers you plenty of opportunities to hone your photographic abilities while learning from one of the premier wildlife photographers in the world. And since the tour is built around photography, there won’t be a lack of incredible subject matter to work on your newfound skills. You won’t have to fight for elbow room either as each vehicle carries a maximum of six photographers. 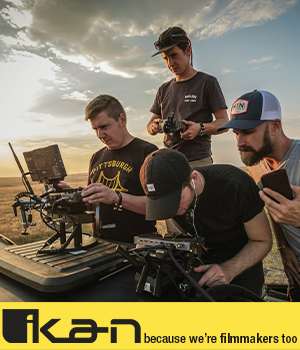 The Kruger Wildlife Photography Workshop with Tyrone Turner is an amazing opportunity to travel abroad, learn photography, see some of the most spectacular animals on earth, and do so in style, comfort, and security. The photo safari takes place September 5-16, 2016, so time is of the essence! Visit Penda Photo Tours today to learn more and to make an inquiry about joining this incredible photo safari!